Transportation Secretary Ray LaHood returned a favor Friday, calling the largest newspaper in the Southwest Virginia district of Democratic Rep. Rick Boucher, left, to praise him for helping the Obama administration's climate-change bill through the House Energy and Commerce committee. "I want to give a shout out to Rick Boucher," LaHood said. "It was unclear going into the hearings how Rick was really going to vote on this. His support means a lot to the administration." Too much, says the conservative From Oh High blog. "There is no clearer indication that Washington politicians know and appreciate the fact that Rick Boucher abandoned the people of Southwest Virginia to its fate and sided with environmental special interest lobbyists and tax enthusiasts," Jerry Fuhrman writes, saying the call was made "to try to cushion the blow that is surely -- and deservedly -- going to come down on him like. an avalanche." 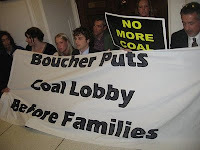 (Read more) Boucher is getting flak from both sides; in an earlier post, Fuhrman ran this photo of environmentalists protesting outside Boucher's office for his weakening of the bill. Different strokes for different folks: Covering election of first black mayor in Philadelphia, Miss. When a town most widely known for the murder of three civil-rights workers in 1964 elects its first African American mayor, it poses questions for the local newspaper. Play up that angle, as outside news media have? Downplay it, to avoid controversy? Neither, The Neshoba Democrat decided, in a well-measured treatment of an important and sensitive story. The main headline was the basic fact, reflecting readers' familiarity with the players: "Young certified as winner in mayoral election, unseating incumbent Waddell." Then there was the deck, "Philadelphia elects first African-American mayor," reminding them of the larger significance of the event. The story, by Editor and Publisher Jim Prince and Managing Editor Debbie Myers, mentioned the racial angle in the third paragraph. That was the local news. A CNN feature story today by Ed Lavandera begins with Young's tearful memory of his father keeping a gun handy during the struggles for civil rights, has him calling his victory "an atomic bomb of change" and notes that Philadelphia, population 8,000, is 55 percent white. And it quotes Prince, who along with previous owner Stanley Dearman campaigned for justice and racial reconciliation: "Philadelphia will always be connected to what happened here in 1964. But the fact that Philadelphia, Mississippi, with its notorious past, could elect a black man as mayor, it might be time to quit picking on Philadelphia, Mississippi." (Read more) Prince provided The New York Times a photo of Young that ran with Robbie Brown's story. The House Energy and Commerce Committee passed the American Clean Energy and Security Act yesterday on a 33-25 vote, but the bill still faces scrutiny from several committees. John Broder reports for The New York Times that the bill still faces "a tortuous path" through several more House committees before it can be voted on this year. Among the biggest committee hurdles facing the bill is Agriculture, whose chairman, Rep. Collin Peterson (D-Minn.), has the support of as many as 28 Democrats who say they will vote against the bill without significant changes. Republicans cite the bill as the largest energy tax ever considered, and Jared Allen writes for The Hill that several Democrats who represent the rural areas said to be most in jeopardy of seeing their local utility rates increase, are skeptical. The Department of Veterans Affairs is providing $215 million in competitive funding to support and improve services specifically targeting veterans in rural areas. Seventy-four programs were selected by the Office of Rural Health to receive funding. They were evaluated based on the methodology, feasibility and intended impact on rural veterans, and include programs like Effective Rural Health Communications and Low Health Literacy Program, Rural Women Veterans Health Care Program and Mental Health and Substance Abuse Coordination. Jamie Hartman of OhMyGov.com reports that veterans groups and advocates are heartened by the projects. Many programs are a collaboration between private and public sectors to improve their reach and efficiency. A comment on Hartman's report read, "This commitment from the VA to try new an innovative approaches to care for those of us in remote locations through out America says a lot. Kudos to the VA!" (Read more). The U.S. Department of Agriculture has been holding hearings across the country for the past week, welcoming livestock producers and others to share their thoughts on the National Animal Identification System, which is voluntary but could become mandatory. Most information exchanged at such meetings has usually been said before, but in the Daily Yonder Richard Oswald gives a thoguhtful take on the situation. Oswald writes that agriculture "is already an open book." The National Agricultural Statistics Service and USDA conduct a public census of agriculture producers each year, complete with tracking of what is grow, how much is grown, and the number of acres used. The key argument for an animal ID system appears to be food safety and accountability, but Oswald scoffs at that logic, because of USDA's Animal and Plant Health Inspection Service and the Food and Drug Administration. "If they can’t find bacteria in a packing plant, what difference will a radio frequency tag on a live chicken make?" Hearings have been held in Harrisburg, Pa.; Pasco, Wash.; Austin, Texas; Birmingham, Ala.; and one is being held in Louisville, Ky., today. Others will be held in Storrs, Conn., May 27; Loveland, Colo., June 1; Jefferson City, Mo., June 9; Rapid City, S.D, June 11; Albuquerque, N.M., June 16; Riverside, Calif., June 18; Raleigh, N.C., June 25; and Jasper, Fla., June 27. Gene Hall of Charles City, Iowa, sold the Charles City Press 21 years ago. About a month ago, he and his wife Cathy bought it back, along with the New Hampton Tribune and associated publications. This week, in the Iowa Newspaper Association Bulletin, he explains why, and it's a terrific testimony to the value of local newspaper ownership. There are good chain-owned papers, but Hall has seen the bad side of both forms of ownership, and with the newspaper business in turmoil, his reflections are quite timely. Hall opines, "The business model of community/local newspapers is still strong and will remain so. What is broken is the capital structure caused by way too much debt; unrealistic profit goals set by private equity owners; operational plans put in place by “Wall Street” analysts whose lack of knowledge and experience in the business is only exceeded by their shortsightedness." In Conway, Ark., population 50,000, they knew. And they voted. The community support of Allen was strong and rural voters likely got in more than their two cents worth on Tuesday night when votes were cast. Kaylie Felty of Maumelle told Dickerson, "He's going to win. It took me four hours to get the first four votes in, and then I voted constantly until 11:45" p.m. At a party in Simon Park Wednesday night, other fans brought signs to show their support that said things like "Blister on my thumbs, Voted 250,000 times." For Masumoto, the longer days of late spring mean more time to worry about crops and weather, funds and flavor. "My blood pressure rises with the temperature," he writes. "Each dark cloud on the horizon has my name written on it. We need rain but not too much; the orchards will love a cleansing shower, but that, in turn, will cause mildew to grow in the grapevines. I can't help but think of the worst and anticipate things will go wrong. It's part of my daily work ritual." As harvest looms closer, farmers collect their apprehension in a "poker game of 'all in' and bank on their labor for success," the farmer foresees. 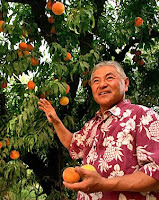 Amid the ripe fruit that gives him purpose, Masumoto is concerned about the recession and market prices for his crops, discovering once again that "Farming requires sacrifices, most often of ourselves." (Read more). One of the nation's most community-oriented radio stations celebrates its 50th anniversary tomorrow. WGOH of Grayson, Ky., population 3,800, will mark its anniversary of the station with a reception at the GO Radio Gazebo in Veterans Park in Grayson during the town’s Memory Days celebration. WGOH went on the air June 1, 1959 and is still owned by the same local stockholders. It has a sister FM station, WUGO. It is one of only three stations in the country to have won four or more National Association of Broadcasters Crystal Radio awards for community service and programming. WUGO won the award 2003, 2005 and 2008; WGOH won it in 1999. In giving WUGO the award last year, NAB said the station airs 220 minutes of news daily and in 2007 had 32 live broadcasts, plus 70 local high-school games and 10,320 minutes of public-service announcements. The station's news and public-affairs programs, such as "County Conversations," featured 320 local residents. In its description of its 2007 accomplishments, the station said it produced a 22-part series on county history and a 75-page book to accompany it, and distributed 2,100 free copes of the book; played an active role in local charity efforts, and donated $9,850 to local causes. General Manager Francis Nash, left, and the other eight staffers average 32 years of service at the station. Nash is author of Towers Over Kentucky, a history of broadcasting in the state. Click here for the station's Web site. Saying it would save $6.7 million over five years, the Justice Department is phasing out "its practice of buying newspaper ad space to publish property forfeiture notices," in favor of notifications on a new Web site, reports Brent Kendall of Dow Jones Newswires. "Federal regulations require the department to advertise all pending court actions in which the government is seeking to seize private property as part of criminal and civil proceedings," Kendall writes. The White House said the notices would still appear in local newspapers "for a period of time." "The advertising phase-out was listed as one of 121 government programs targeted for cuts and reductions," Kendall notes. But it seems to us that a notice in a local newspaper is a lot more likely to inform people who need to know, such as creditors or adjoining property owners, than a Web site that will be visited only by people looking for forfeitures. And we think that's especially true in rural areas, where use of the Internet is lower. Researchers speculate that obesity compresses parts of the lungs, hindering breathing and blood flow in the chest, which makes flu symptoms more damaging. Anne Schuchat, a CDC epidemiologist, told Brown and Shulman, "We were surprised by the frequency of obesity among the severe cases that we've been tracking," and said scientists are considering whether obese people should be included with other high-risk groups and be first in line if a swine flu vaccine becomes available. For rural areas and obese states such as Kentucky, where there are 20 confirmed cases of swine flu, obesity may be an underlying factor, especially since the virus has been targeting younger people -- who have higher than average obesity rates. 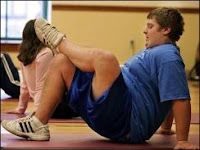 In a 2005 study in rural Pennsylvania, 20 percent of students were considered obese, 4 percent more than the national average. Because obesity is highly correlated with diabetes, another risk factor for acquiring swine flu, rural areas may be at an increased risk. (Read more). President Obama is expected to sign a bill allowing loaded guns to be carried in national parks "rather than derail a consumer-friendly credit card measure that Mr. Obama is eager to sign as Congress heads off for a Memorial Day recess," reports Carl Hulse of The New York Times. The gun measure was attached as an amendment by Sen. Tom Coburn, R-Okla., who told reporters, "Timing is everything in politics." Most congressional Democrats favor some sort of gun control, and the party has majorities in the House and Senate, but those ranks "include senators and House members who represent Western states and more rural areas where gun ownership is popular and deemed sacrosanct," Hulse writes. "When those Democrats team up with Republicans, they constitute a clear majority in the House and Senate." Facing teacher shortages, an Arizona lawmaker is encouraging a loan-forgiveness program to be implemented in rural and inner-city schools in the state. James King reports for The White Mountain Independent in Show Low, Ariz., that the bill approved by the House Education Committee this week would expand a law that forgives loans of teachers who commit to staying in Arizona to teach in public schools. The new application would forgive student loans for teachers of any specialization "who commit to work in a geographic area deemed by the state to have a serious teacher shortage." Significant areas that could benefit from the law include the American Indian reservations and several rural towns in the state. Rep. David Schapira, D-Tempe, told King, "Some districts are experiencing across-the-board shortages that aren't just math and science teachers." Since its initial conception in 2008, more than 140 teachers have taken advantage of the program and rural education administrators are hopeful that they will see positive results. Pat Koury, superintendent of the Hyder School District and president of the Arizona Rural School Association, faces many obstacles when recruiting teachers. "Young people don't want to come out and live in the middle of nowhere," he told King, adding that every rural school district should support the program because it addresses several areas. "When you get out in the rural areas where I am, there are teacher shortages in every area, not just math and science. We need English teachers too." (Read more). Critics are seeing a disturbing trend eliminating rural sociology departments from land-grant universities. Scott Jaschik writes for Inside Higher Ed that the field has lost its roots. Rural research may still be occurring, but Jaschik reports the context has changed: "Many professors in the field say that they have seen a slow erosion in support and expertise as retiring professors in these departments are replaced with sociologists who focus on other areas." Washington State University is the latest land-grant institution to target its rural sociology department, prompting an angry outcry from supporters across the country. An advertisement published Friday in two Washington newspapers featured signatures from 21 leaders of the Rural Sociological Society to faculty at Cornell University and North Carolina State University, all chastising the WSU administration. A primary concern is how WSU, as a land-grant institution, is setting an example, which the advertisement argues "sends a powerful negative message ... that applied research and outreach focused on problems and opportunities experienced by rural people and communities is expendable." The university's decision to end the program was influenced by steep budget cuts, but critics argue that the discipline should have higher priority. At Cornell, David L. Brown, a sociologist, says,"Our work is always grounded in these [rural] places," and adds that the people who are the focus of rural sociologists "are those who are easily overlooked in the higher education system, in which the land-grant universities are the only ones with a clear brief to focus on them." Kenneth Pigg, a rural sociologist at the University of Missouri at Columbia, one of the few institutions left with a freestanding program, agrees. "There aren't very many rural sociology programs around. There's a general perception that rural doesn't matter anymore." (Read more). When the 100th day of the Obama administration passed without a summit on rural issues, as the president had promised in his campaign, Republicans in the House announced creation of the Rural American Solutions Group. This week, the project became more animated as Republicans launched a coordinated attack on the House Democratic bill that would start a "cap and trade" system for carbon emissions to thwart climate change. "This national energy tax, under consideration this week by the Energy and Commerce Committee, would disproportionately spike rural American energy bills, harm agriculture production and threaten small businesses," the group said in a press release yesterday. To see segments of the group's press conference, via its YouTube channel, click here. The next Farm Foundation Forum, 9 to 11 a.m. June 2 at the National Press Club in Washington, will be on carbon polucy options and implications for agriculture. Presenters will include Iowa farmer Varel Bailey and Jon Scholl of the American Farmland Trust. Invitations have been extended to the energy industry, the livestock industry and greenhouse-gas researchers. To attend, RSVP by noon CDT Friday, May 29, to Mary Thompson, Farm Foundation communication director. There is no charge to participate. Iowa State University's plan to cut the number of county extension directors in Iowa by more than 75 percent is bringing protests in rural counties that have depended on the Cooperative Extension Service. University President Gregory Geoffroy "presented a previously unannounced plan to the Iowa Board of Regents ... without public input and just hours after the Legislature adjourned," writes Jay Howe, field editor of the Adair County Free Press. "Surprisingly, the regents OK'd the restructuring plan as a done deal without taking opportunity to gauge public views on it. Is this a model of how ISU Extension has sought to foster the process of engaging the public in making serious public-policy decisions?" Regent Michael Gartner, former editor of the Register and other papers, asked why more director positions weren't cut. Geoffroy said, "We did consider going to 10 directors, but decided that would be too much territory to cover." He said each director would oversee an average of about five counties and spend about a day a week in each county. Minnesota made similar changes five years ago, and other states are doing likewise as the recession forces states and universitis to cut budgets. Ralph Otto, an associate extension administrator in the U.S. Department of Agriculture, told teh Register, "I hope that we survive this and come out more resilient than before. I say that with a certain amount of emptiness, because it doesn't help the folks right now who are having to do so much." (Read more) For the university's detailed explanation of its budget-cutting plan, click here. The school board in Steamboat Springs, Colo., has agreed to release the transcript of an illegal meeting and pay $50,000 in legal fees to the local daily newspaper, which warned the board not to hold the meeting and challenged it in court afterward. The state Court of Appeals ruled in March that the board violated the state open-meetings law in 2007 by holding a closed session to discuss staff surveys of administrators and the performance of the superintendent, saying the session was "to discuss a personnel matter regarding 'access to information' and failing to say it would consult its attorney during the session, Jack Weinstein reports for the Steamboat Pilot & Today. Beekeepers and environmentalists are supporting a proposed ban of pesticides developed by Bayer CropScience Inc., suggesting that two of its most prolific products, imidacloprid and clothianidin, are responsible for the recent phenomenon of bee colony collapse. Julia Scott writes for Salon that since 2006, when colony collapse was first identified, American beekeepers have lost at least a third of their bees, threatening the food supply. In response, the National Honeybee Advisory Board, which represents the two biggest beekeeper associations in the U.S., requested that the Environmental Protection Agency ban imidacloprid. Clint Walker, a co-chairman of the board told Scott, "We believe imidacloprid kills bees -- specifically, that it causes bee colonies to collapse." Critics argue that the EPA's initial decision to allow imidacloprid on the market in 1994 was careless. Current EPA literature calls it "very highly toxic" to honeybees and other beneficial insects. In 2003, Scott reports, EPA described clothianidin as "highly toxic to honeybees on an acute contact basis," and suggested that chronic exposure could lead to effects on the larvae and reproductive effects on the queen. Despite such claims, the EPA authorized the chemicals for market. "If the EPA had sufficient concern about harm to bees that they would insist on other studies, it seemed unwise to approve it anyway and ask for research after the fact," says Aaron Colangelo, an attorney with the Natural Resources Defense Council. "The EPA's job is to make a decision about whether a chemical is safe or not." As EPA began pesticide studies this year, it announced that review of clothianidin and other chemicals in the same family would not start until 2012. Beekeepers and environmentalists are hoping the U.S. will follow France and Germany and ban the products. But Scott suggests that is unlikely for imidacloprid, because it is used under the Bayer label in more than 120 countries "on more than 140 crop varieties, as well as on termites, flea collars and home garden landscaping. And the product's patent expired a few years ago, paving the way for it to be sold as a generic insecticide by dozens of smaller corporations. In California alone, imidacloprid is the central ingredient in 247 separate products sold by 50 different companies." (Read more). A foe of the Waxman-Markey "cap and trade" bill to limit carbon dioxide emissions claims the legislation is targeting poor, rural communities that rely on cheap, coal-fired electricity and going easy on states that have higher energy consumption but are less reliant on coal. “Why is it that the wealthy parts of our country continue to attack the lifestyles of the rural poor?” Republican Rep. John Shimkus of Illinois said in his opening statement at the House Energy and Commerce Committee meeting Monday. "Shimkus was alluding to the bill’s sponsors, Rep. Henry Waxman, D-Calif., and Rep. Edward Markey, D-Mass., who both represent states that have higher energy costs and consume far less coal than Missouri and Illinois," Sean Rose reports for the St. Louis Post-Dispatch. Facing effective bankruptcy, the U.S. Postal Service is consolidating mail routes and angering rural residents. In Oconomowoc, West Bend, Oak Creek and elsewhere in Wisconsin, the recent combination of routes has residents complaining that mail is being delivered late and that they feel neglected, Scott Williams reports for the Journal Sentinel in Milwaukee. Williams reports that in Waukesha, business owners fear that cutbacks in mail collection hours will undermine their ability to conduct business. Postal officials say the consolidation of delivery sites will save about $46,000 a year in each location and a total of $1.5 million in the 30 rural communities already affected. Mail often comes later in the day. U.S. Rep. Jim Sensenbrenner, a Republican from Menomonee Falls, told Williams he does not have an alternative plan for trimming costs, but he found that the cuts in southeastern Wisconsin will be too disruptive to customers. "You've got to remind the Postal Service repeatedly that their last name is service," he said. (Read more). Rural doctor shortages worsen in parts of Minn. Delays in care are a common side effect of the shortage in Bemidji, where, by this summer, there'll be only eight family care physicians. The MeritCare Clinic is also short on internal medicine and pediatric doctors. Patients often have to wait up to 15 months for a medical exam. "We have people coming in all the time, and there is no family practitioner available," Dr. Suzie Human told Robertson. "Every single day I have people saying, 'Can I see you at the clinic? Can you take on my family?' And every single day I have to say I can't take patients at this time." The Minnesota Hospital Association reports that although 13 percent of Minnesota residents live in rural areas, only five percent of all physicians practice there. An underlying problem is the debt medical students face after graduation. The American Medical Association reports that only two percent of medical students are going into family practice. Many instead choose more lucrative specialties like cardiology or anesthesiology, where they can earn three or more times what a family doctor does. Students can also pay off debt more quickly by working in better-paying metropolitan communities. The Wisconsin legislature approved a statewide smoking ban in all workplaces Wednesday to very mixed reactions from patrons and owners of bars, which will face their first smoking restrictions. Julian Emerson writes for the Leader-Telegraph in Eau Claire that in Chippewa County, pop. 60,456, some residents are angry at the state's intervention. 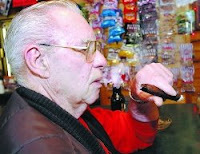 Many larger cities in the state have adopted smoke-free policies, and Emerson reports that nearly 40 local governments, including Eau Claire, have passed their own anti-smoking ordinances: "Meanwhile, in most of the state's smaller cities and villages, smoke-filled bars and restaurants are as common as springtime dandelions." The ban, which will join 25 states that already have similar laws, will begin in July 2010, giving bar owners and patrons time to create outdoor smoking areas and consider the impact it will have on their business. "The people who smoke, they don't want this," longtime Albertville Tavern owner Patti Nowak told Emerson. "A lot of the bar owners are worried that people might decide to stay home and smoke there." (Read more). UPDATE, May 20: In a column for Lee Newspapers, Richard Mial notes that urban legislators were more likely to favor the law and rural lawmakers were more likely to oppose it. Chrysler cuts have big rural impact in Iowa, Neb. Continuing media reports are making clearer the big rural impact of the auto-industry crisis. In Omaha, KETV reports that 31 Chrysler dealerships in Nebraska and Iowa are slated to lose support from the company. The automaker said last Thursday that it does not have the funds to keep all of its dealerships running. If a bankruptcy judge approves, Chrysler's agreement with 800 dealers nationwide will end in June. However, some affected dealerships are negotiating with other automakers to keep them in business. The loss of dealerships will likely result in difficulties for consumers and small-town residents, who may lose jobs and have to drive farther for car service. (Read more).